I found this recipe on Pinterest a few months ago, and it is oh so good. It's perfect for a cold or rainy night in! Bonus: it's made in the crockpot, so it's super easy. Note: the original recipe calls for 1/2 cup diced onion. We aren't big onion people, but feel free to add that in if you are. 1. 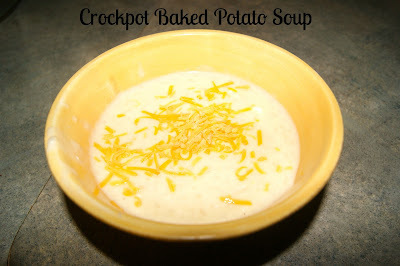 Place all ingredients except the cream cheese and shredded cheddar cheese in a crockpot and cook on low 6-8 hours. 2. About an hour before serving, add cream cheese and keep heating until completely melted. 3. Serve and sprinkle with cheddar cheese. You can also top with bacon, green onions, sour cream etc. Whatever your little heart desires!